Since opening our doors in 2012 the majority of our business has come from the personal recommendations of past clients. This is a great testimony to all the work that the Farrington's team have completed over the years and show’s how much pride we take in our work. We are a friendly bunch so come & visit us! 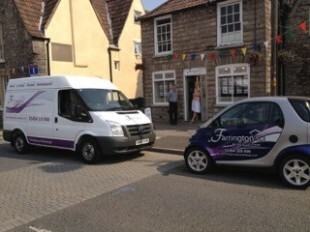 Our welcoming offices are on Chipping Sodbury High Street. At Farrington’s we take a fresh approach to lettings and property management which is what makes us stand out from the rest. Disclaimer: The information about this Agent is provided by the Agent themselves as an advertisement for their agency services. Rightmove is not endorsing this Agent and makes no warranty as to the accuracy or completeness of the advertisement or any linked or associated information, and Rightmove does not check or verify the accuracy of the content. The information is generated, provided and maintained by Farrington's Sales and Lettings, Bristol. Please contact the Agent directly to obtain further information about their property services.